If you notice that there are forests and objects on the cliffs of the Great Amazon do the following procedure. Probably in some computer the user has many additional scenarios in X-Plane. Therefore, it is important to verify that the Grand Amazonia scenario works correctly by editing the existing scenario organizer file in X-pLane. Do the following if there are forests and objects on the clues of the Grand Amazonia scenarios. 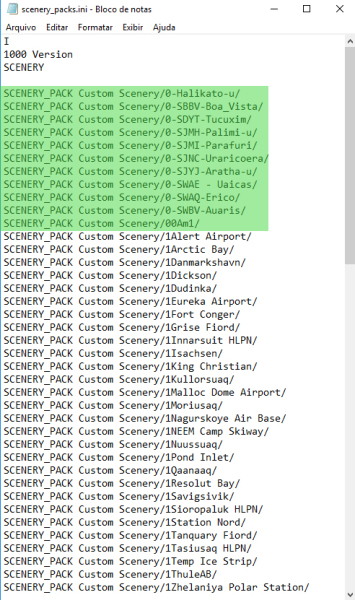 1) With Windows Notepad or Mac open the scenery file, packs.ini which is in the last line of the Custom Scenery directory. 2) Note if the scenarios listed below are at the top of the file, if not, select the files from the Great Amazon, cut and copy at the top of the list. Save. 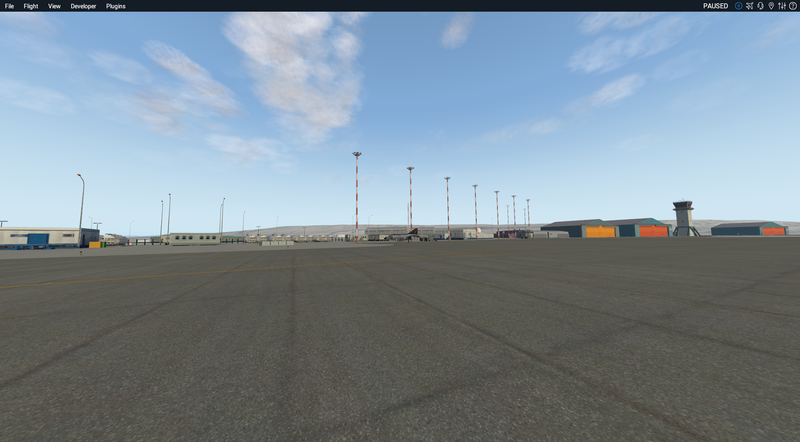 Restart X-Plane and the scenarios will be crétamente functioning. All Grand Arctic Users can download free update V3.0 that fixes bugs and increase some sceneries. Created IOS maps from map mode, completing the X-Plane above 73 degrees north - Canada and Greenland. 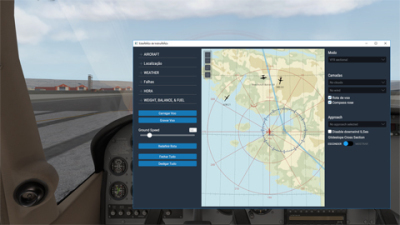 To install the X-Plane 10 and X-Plane 11 from Windows or Mac, simply download the Grand Arctic Scenery V3.0 that your reseller sends, or write us an email informing you of your purchase receipt or key product or your e-mail. We will provide a link for you downloading and updating your copy. Please read carefully the document you received when requesting the link and the new key. In this document you will have access to the download link and the license key. To install on Windows, download the automatic installer, run the EXE file of the version of your licensed of X-Plane 10 or X-Plane 11 copies, by pointing the mouse to the X-Plane folder listed on your computer. Remember to use the correct installer. You will be instructed to download a ZIP file with password. To do this, simply enter the number of your purchase receipt, or the old license key or the e-mail you used during the purchase. After downloading, make sure you have the correct X-Plane 10 or X-Plane 11 version. Extract the files with your decompressor program and point the mouse directly to the X-Plane folder. Each time the user authorizes the online upgrade of X-Plane 11 or X-Plane 10, choosing to overwrite files, important files of the Grand Arctic Scenery will be erased, as they are part of the complement of the Global Scenario that HSimulators has developed. If this happens, without the need uninstall previous installation, the user must reinstall the Grand Arctic Scenery. The Grand Arctic installer will restore the whole scenario. 1 - What do I need to install the Hsimulators add on? You must purchase an X-Plane license in advance. With the demo version of X-Plane you are allowed to fly only in a restricted area. 2 - Do I need any third party add-ons as a prerequisite? No! 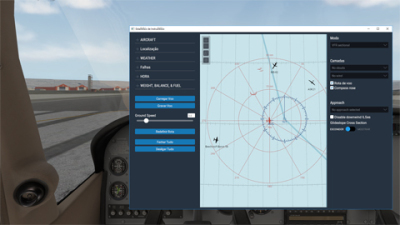 Hsimulators works only with your own objects and standard X-Plane fonts only. 3 - The HSimulators add-ons are for which operating systems? 6 - I downloaded a new automatic update of the X-Plane 11 and the orbital textures returned to the standard state, without the terrestrial poles. Litle discrepances can also occur in the Mesh scenario, as it is a scenario that has not been modified from the X-Plane default scenario. As the X-Plane Global scenario has no scenarios above 73 degrees north, HSimulators did this great job in North Mesh Canada and Greenland Mesh. It is common to find some discrepancy. Please kindly give us the address of the place, make some suggestions and send us. We will repair and update. My support is personal. I am one person company and I work form 8:00 AM to 6:00 PM, GNT +3Hs00. If you encounter any doubt, please, right me an e-mail.